When your wine is clear, it is ready to bottle. Taste the wine, and sweeten it to your taste if so desired, by adding wine conditioner. Start by adding 1 oz (28g). of sweetener per 22L or 5 ½ gallons of wine and do not exceed a maximum dosage of 5 oz. for the whole 5 gallon batch. Remember to stabilize the wine just prior to bottling. Age the wine according to desired varietal characteristics. Optional equipment such as floor corkers, shrink tops and labels allow you to finish off your winemaking experience with a professional look. 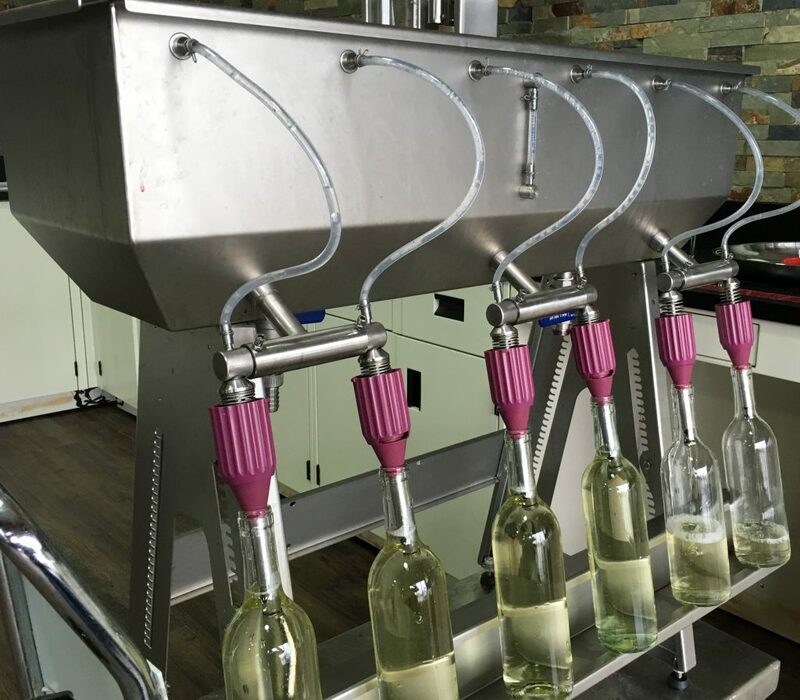 Filtering machines may also be purchased that cut the total winemaking time in half and speed production of clear wine. Eye catching blank label styles are available for those who are creative with a laser or inkjet printer. A good wine rack for your finished bottles provides stable storage and decent protection for your investment. KJ Urban Winery in Guelph stocks all of the wine making equipment and accessories mentioned in our winemaking instructions. Visit our shop to purchase all necessary equipment or contact us for more information.